encore Deals! | Princess Parties by Fairytales and Dreams by the Sea! 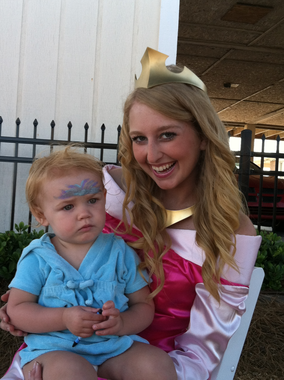 Princess Parties by Fairytales and Dreams by the Sea! The possibilities, just like your dreams, are endless! Expires 10/31/13. Voucher valid only for specific party purchased. Please read the description of each package and note upgrade opportunities. No cash value. The North Carolina Aquarium at Fort Fisher will play home to your princess as our Mermaid Princess introduces her to all of her underwater friends. Depending on the date, the Aquarium frequently offers special events such as feedings and underwater touching. Escorted around both the outside and inside by the princess, amazing photo opportunities await! The NC Aquarium trip would last an hour and a half, followed by a 45 minute walk on the beach, sea shell hunt, make a shell necklace, and photo shoot time with the mermaid (no photographer provided). Pick your child’s favorite princess to host her big! Your party would include face painting, story time, coloring, nail painting, music and dancing, a commemorative CD for the birthday girl to keep with a special gift, singing happy birthday, meet and greet with each guest, a photo shoot, and a craft! The craft can be made more extravagant for an additional cost. There is a charge of $2 for each child in a party of over 12 children. For customers outside 40 miles of Carolina Beach there will be a travel fee.